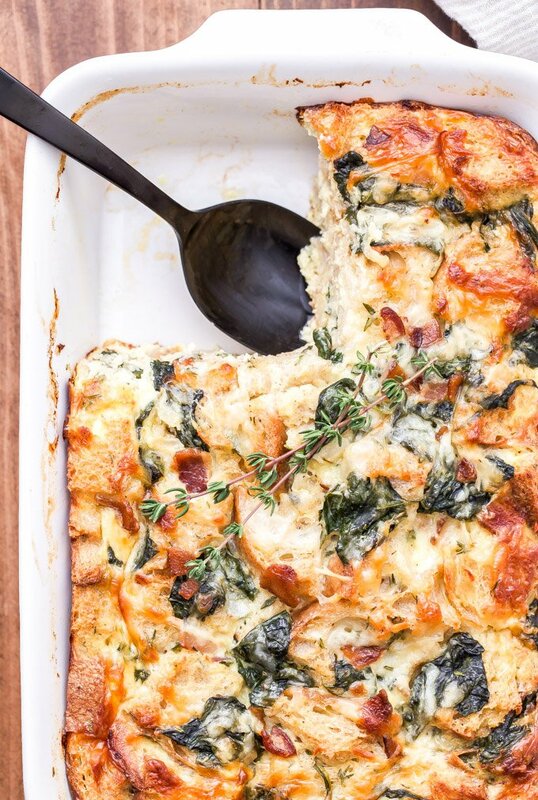 This Spinach, Bacon and Cheese Strata will be a fantastic addition to your next holiday brunch or weekend breakfast! 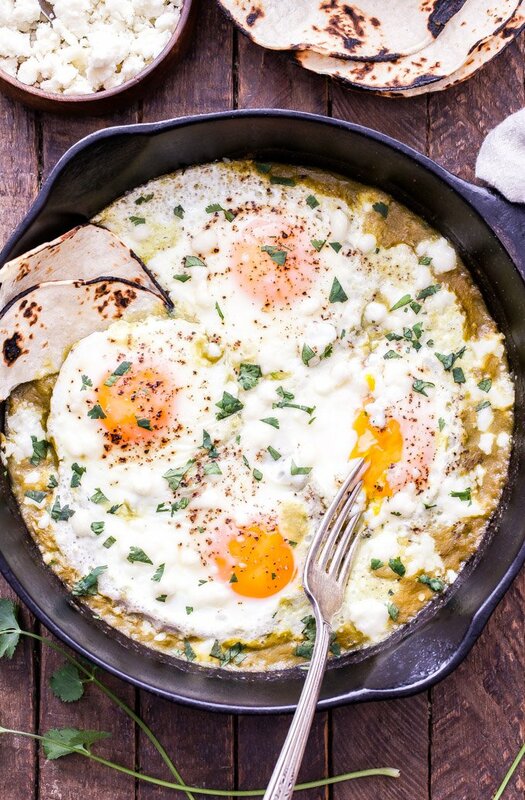 Make it the night before and bake it in the morning for a stress free, hearty egg dish everyone will enjoy! Is it just me or does the week of daylight savings starting and ending feel like it’s never going to end? When it starts I’m so tired I can hardly drag myself out of bed in the morning to go running and when it ends my eating schedule is all screwed up. I’m ready for dinner at 4:00 pm and it’s all I can do not to dive in. The one bonus about coming off of daylight savings is the extra hour of sleep. Although I wouldn’t know about that since I have two impatient cats who don’t understand or accept time change. They still expect to be fed at their usual times and are relentless if I’m late. With all of the walking on top of me, head butting me and chasing each other around the bedroom making as much noise as possible, I might as well forget trying to enjoy that extra hour of “sleep”. 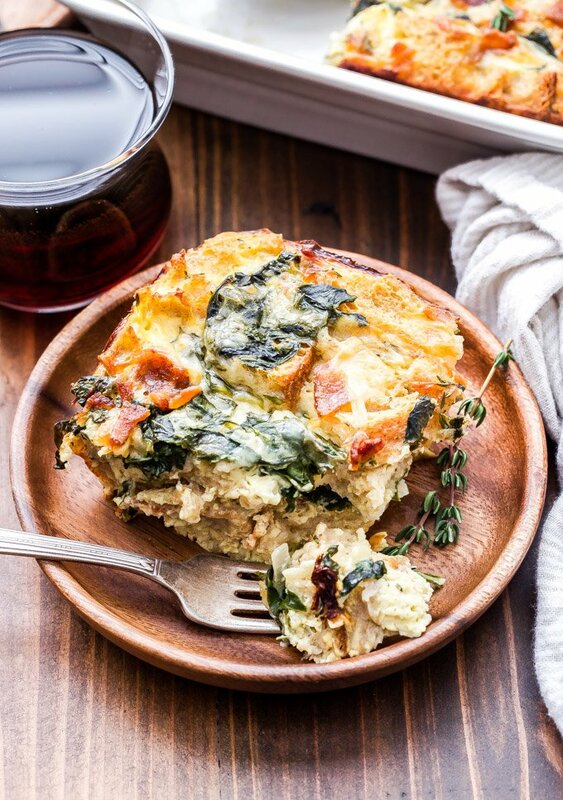 Anyways, enough about daylight savings, let’s talk breakfast and this incredible Spinach, Bacon and Cheese Strata. This was my first time making a strata. 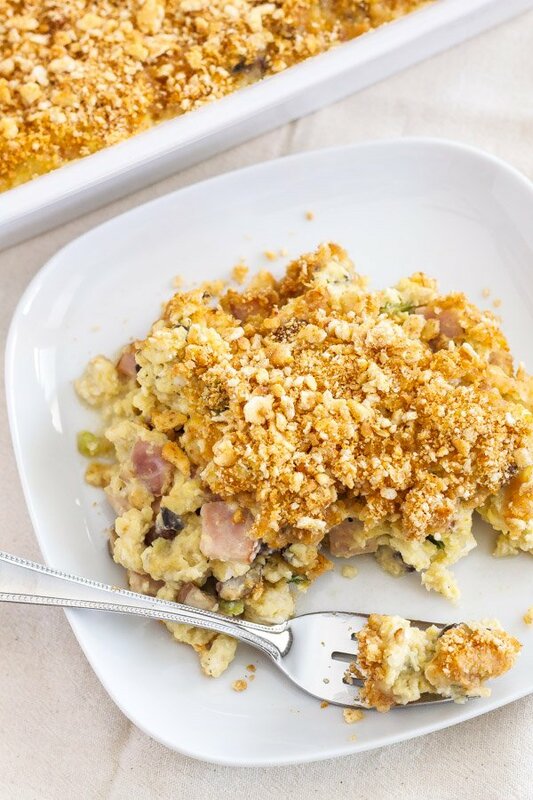 If you’ve never made one, it’s a layered casserole that you typically make for breakfast or brunch. 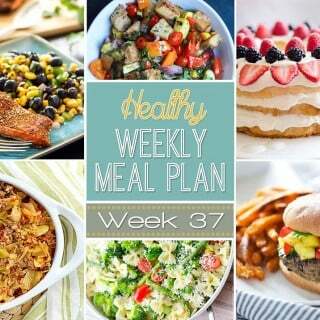 It’s similar to a quiche or frittata and contains a custard type egg mixture, bread, cheese and vegetables or meat. 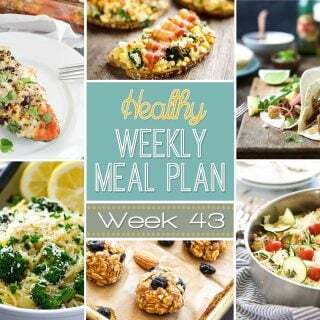 It’s perfect to make this time of year with the holiday season approaching quickly. A starta can be as decadent or healthy as you want it to be. Some people use half and half or cream mixed with the eggs and prefer to use a buttery bread, like brioche. I decided to go a little more modest with my starta, but still have a little decadence and tons of flavor. Instead of a buttery bread I went with a crusty whole wheat artisan style bread. For the egg mixture I used a combination of whole eggs and egg whites and went with 2% milk instead of whole or half and half. 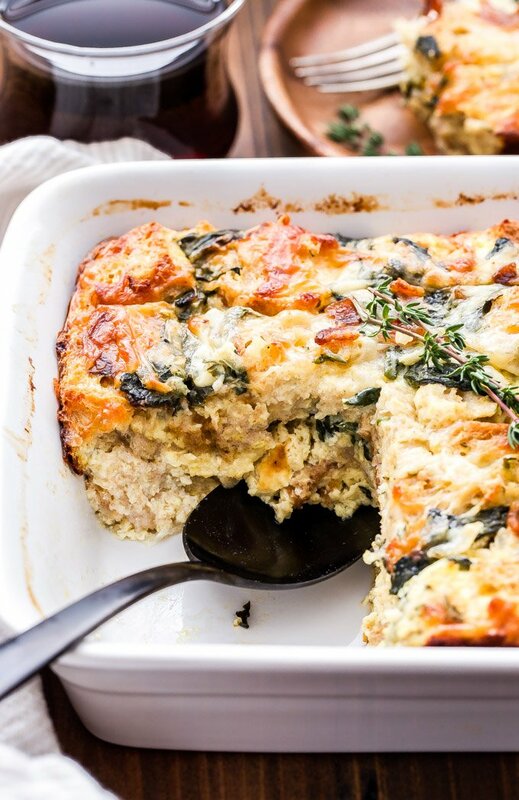 Yes, there’s still plenty of cheese and bacon in the dish, but it’s not like you’re eating starta for breakfast every morning. Speaking of the cheese, I went with a flavorful combination of Gruyere and smoked mozzarella. It went perfectly with the smoky flavors from the bacon. 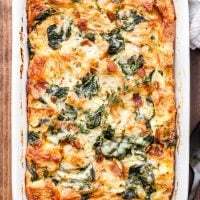 The Spinach, Bacon and Cheese Strata needs to sit in the refrigerator overnight so the bread absorbs the egg mixture, but that just means all you have to do in the morning is bake it and serve. No hands on work. Enjoy! 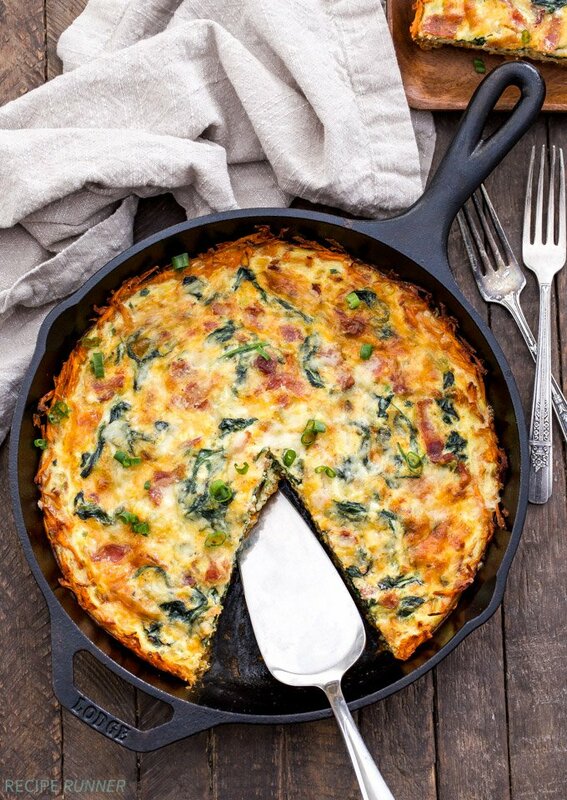 In a large non-stick skillet over medium heat cook the bacon until browned and crisp. 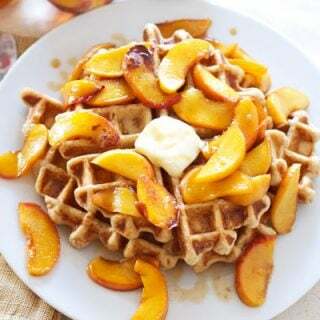 Remove from the skillet onto a plate lined with paper towels. Remove all of the bacon grease except for 1 tablespoon from the skillet. Add in the diced onions and sauté for 3 minutes. Add in the baby spinach and grated garlic and sauté until the spinach is wilted, about 2-3 minutes. Remove from the heat and set aside. In a large bowl whisk together the eggs, egg whites, Dijon, thyme, nutmeg, milk, Greek yogurt, salt and pepper until combined. Spray a 3-quart ceramic baking dish with cooking spray. Spread one-third of the bread cubes into the dish. Add one-third of spinach mixture, bacon and cheese. 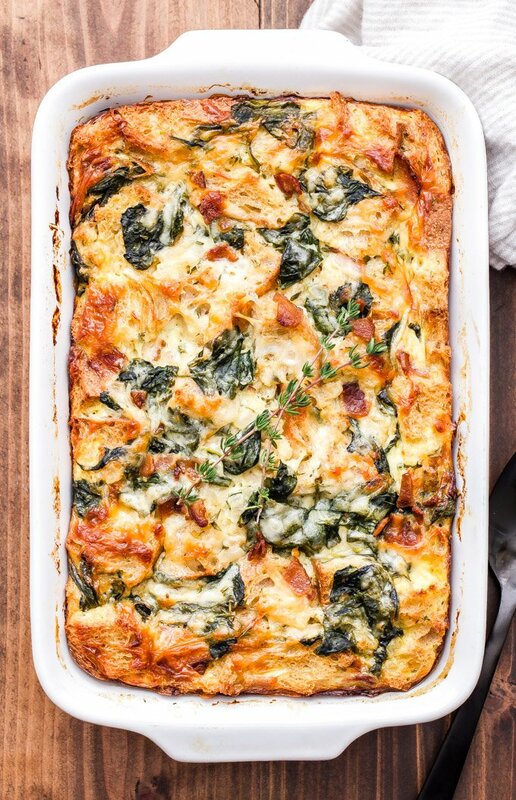 Repeat layering twice with remaining bread, spinach, bacon and cheese. Pour the egg mixture evenly over the strata and cover the baking dish with plastic wrap. Refrigerate at least 8 hours or overnight. The next day, let it stand at room temperature for 30 minutes while preheating the oven to 350°F. Bake the strata, uncovered, on the middle rack of oven until puffed, golden brown, and cooked through, 50 to 65 minutes. If the strata starts to get too brown on top, cover it loosely with a piece of foil. Let stand 5 minutes before serving.